Poor ZigBee. As a wireless standard, it has long faced an identity crisis that pitted it against Wi-Fi in the home and proprietary standards or Bluetooth for low-data rates. But as companies such as Comcast(s cmcsa) embrace the connected home and thanks to an acquisition last year, the standard could get its day in the sun and a place in the home. ZigBee is designed to carry small amounts of data over a mid-range distance and consume very little power. 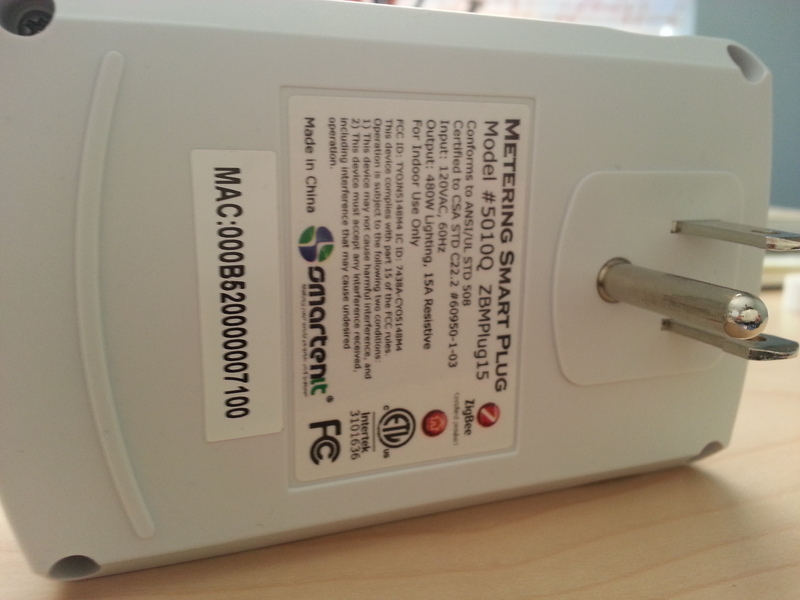 It’s also a mesh networking standard so the sensors can carry other data along to the hub. Its closest analog is the proprietary Z-wave standard that comes on chips made by Sigma Designs. If you own a Nest thermostat, Comcast’s recent router or a Hue lightbulb you have ZigBee chips inside your home already. But as those devices illustrate, ZigBee has been plagued by interoperability problems. The standard isn’t just the wireless transport mechanism, but a layer of software on top that can create profiles that interfere with different versions of ZigBee profiles. That means that unlike Wi-Fi, two devices that have ZigBee chips might not interoperate. The ZigBee Alliance is working on this. In an interview last month with Alliance Chairman Tobin Richardson he said that ZigBee is getting more aggressive about policing those who use the ZigBee certification without actually interoperating. That’s going to be amazing, but the next step will be getting those that use ZigBee to want to go through certification. And that may require device-maker and consumer demand. But still, things are changing. Cees Links, the CEO of a Holland-based company called Greenpeak Technologies, which supplies ZigBee chips is optimistic. One would expect that, of course, but Links is also the man credited with convincing Steve Jobs to put Wi-Fi inside the Mac(s aapl), which was a huge step forward for that technology’s adoption. He’s betting he can do it again with ZigBee. So, while I’ve heard that roughly nine out of ten sensors are using the proprietary Z-wave standard over ZigBee, and more startups are coming out with Bluetooth Low Energy devices that will communicate with handsets, Links is confident that ZigBee still has a place in the developing internet of things. First, off ZigBee is an open standard with multiple vendors, while Z-wave is dominated by one. Second, the Alliance is really safe-guarding that openness now. He points to the acquisition of Ember by Silicon Labs last year as a big turning point for the standard. Not only did it bring a large chipmaker into the mix, something that will assuage the fears of device-makers who might be skittish about trusting a startup for all of their chip needs, but it freed up the ZigBee Alliance to become a true standards organization. Links says that Ember had really dominated the direction of the Alliance and wasn’t interested in creating a broader ecosystem where other vendor’s chips would interoperate with theirs, but now that Silicon Labs has taken over, the Alliance is focused on broadening adoption of all ZigBee chips, not just Ember’s. So with Greenpeak, Silicon Labs and Texas Instruments(s txn) all producing silicon Links hopes device-makers will go with ZigBee as opposed to Z-wave. As for the contention that all you need it Bluetooth and Wi-Fi, Links is skeptical that Bluetooth Low Energy can really handle the distance to become an in-home network, as opposed to a personal area network. And Wi-Fi consumes too much energy. So while, executives at Broadcom(s bcom) and Qualcomm(s qcom) are skeptical that you need more than Bluetooth or Wi-Fi, so far service providers and companies deploying in-home sensors are pretty sure ZigBee or maybe Z-wave has a place. The next step after getting the chips widely used inside homes (the Comcast deployment should help here in the U.S.) will be getting a ZigBee chip inside the smartphone. Since the mobile handset or tablet is the homeowner’s primary method of communicating with sensors in the home, getting such a chip integrated inside would be huge for ZigBee. Right now, a ZigBee radio must sneak into the home through a hub, router or set top box — making its adoption by homeowners dependent on the service providers and a few early adopters who buy things like the Almond Router, the SmartThings hub or the Revolv hub. That’s why Comcast’s decision to integrate ZigBee in its Xfinity Home gear is so big. Of course, we’ll know if ZigBee is getting closer to the defacto standard for sensor networks once Qualcomm or Broadcom picks up Greenpeak — or they change their tune on the standard. And then, maybe we’ll see ZigBee make it into the handset or tablet. Of course, given the existing popularity of Z-Wave and the damage of fragmentation in the ZigBee market so far, none of this might happen, but if it’s going to, now’s the time. What protocol is going to be used by the Internet of Things? We all have seen many other industries – all of them much, much larger than home control today – to adopt TCP/IP and abandon other protocol suites. Does anyone remember the wars on email? Conferences discussing X.400 versus MS Mail, cc:Mail, and SMTP? Companies building their business on gateways? I guess we all agree that all of this died before Email made it to the masses. Having said this, who believes we’re going to use Z-Wave or ZigBee for dimmers and thermostats and TCP/IP in the rest of the Internet?…And yes, there is also quite a bot of work to be done, before 6lowPAN can do, what consumers and device manufacturers need. Are we finally getting to IP-based, interoperable, stable products? Or is this discussion like the question of the color of the deck chairs on the titanic? Who believes our current path in this industry is suitable to convince consumers? I developed automation system based on ZigBee stack, works perfect. Its open standard everyone has access to documentation. I worked with ZWave few years ago and it was terrible story about the documentation. Also I developed BACnet to ZigBee gateway, so all BACnet devices can communicate via ZigBee. Not fair to blame Ember for lack of ZigBee interop. This is the result of manufacturers of e.g. 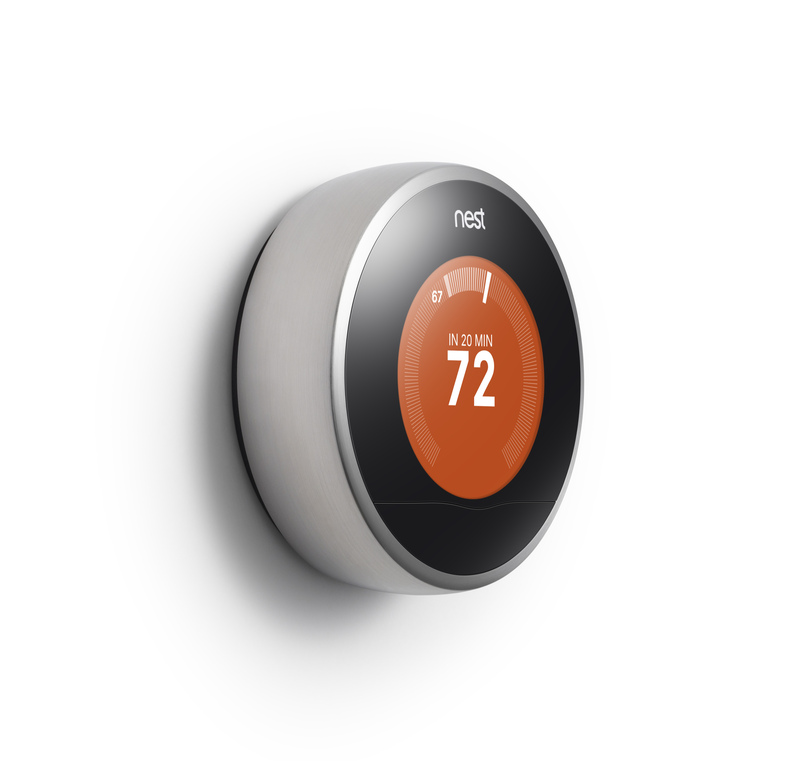 thermostats not wanting to interoperate on the application level while valuing the cheap silicon that standards would enable. Any comment or update on active RFID style protocol http://www.dash7.org getting traction? Lets not forget Contiki and 6lowpan that uses the same radio layer and chips that ZigBee uses but, unlike Z-wave and ZigBee, builds on the Internet Protocol (IP) standards and is fully open source: http://www.contiki-os.org/. Being built on IP makes it more of a WiFi contender, but with the same power consumption and low cost that ZigBee and Z-wave boasts. Interesting article with a couple of errors. 1. ZigBee is working toward all profile inter-operability because the market is pushing, When companies were selling systems, device to device inter-operability was not important to them since they were selling all devices in the system. Now that service providers and retailers are more involved, device inter-operability is more important. That companies decide to ship their own variants is typical in an early environment as companies try to grow their own ecosystem. When the market forces action the companies adopt. This started with Smart Energy as utilities pushed for common standards, and it is now happening in the home automation and lighting space. 2. Saying 9 out of 10 sensors are shipping with ZWave would seem unsupported by any of the data I have seen or industry reports. I believe the shipment volumes are likely the opposite of this. 3. Indicating Silicon Labs moving into the space means there is a major semiconductor company now pushing is quite a stretch. Before Silicon Labs bought Ember you had Texas Instruments, Freescale and Atmel all with solutions in this space. 4. Putting ZigBee in a smart phone is not necessary for adoption as is already noted in the comments here. ZIgBee is showing up in routers and set top boxes so using those to connect to the smart phone is simple and does not require adding another radio to your phone. Most control is likely to be done when outside the home through a cloud service anyways. 5. The largest issue I have seen with ZWave versus ZigBee is that when people want to add new features they can join ZigBee, work in it and add it to the standard. In ZWave they have to go to the mothership and try to get them to agree. That does not make it an open standard. This reminds me of what we went through with BACnet and LonWorks. Both standards are “Open” but one was fragmented and the other has a proprietary chip. Further I would like to correct the statement of Z-wave being proprietary. The Z-Wave chips are governed by an ITU standard just like the Zigbee 15.4 chips being governed by the IEEE. The communication layers for Z-Wave is governed by the Z-Wave Alliance like the ZigBee Alliance governs the communication layers of ZigBee. Multiple technology companies providing the technology is the same on either side of the spectrum. Z-Wave technology is being marketed by Sigma and Mitsumi and there are a few technology companies on the Zigbee side as well. So tell me what is the difference and why is Z-Wave referred to as proprietary while ZigBee would be open? Raoul, you make good points on the need to have a Zigbee or Z-wave chip embedded inside a router. But your point about openness feels like marketing FUD so far. Last year the ITU did include the Z-Wave PHY and MAC layers in the new G.9959 standard, but the profiles on top appear to still be proprietary and available only via Sigma or Mitsumi. It looks like those are licensed to vendors as opposed to being freely available via the Z-Wave Alliance. So I can’t buy a Z-wave chip without paying for access to Layers 3-5. Which so far means the vendor for silicon is much more limited. I didn’t go into all this, but on the scale of openness Z-wave is certainly more “closed” or proprietary than ZigBee. Interesting article in many ways. About 50% of home control takes place while people are not at home (this is the core value of home monitoring while using home controls while you are at home is mostly a convenience factor “only”). Therefore integrating Z-Wave or Zigbee into a smart phone would not help for >50% of the use cases because these low power RF technologies would not be able to reach your home. Having a control point in your home like a Router, hub, STB, GW or smart TV with Z-Wave is therefore essential and yes your smart phone or table have to communicate to these devices through normal 3G or LTE or WiFi. The complete lack of interoperable devices is indeed a huge stumbling block for companies to consider this so called standard. Can you imagine the calls you are getting as a service provider about the product has a ZigBee logo but does not work in my system. This is a huge burden for operators. On top of that ZigBee has a legacy that is full of new “standards”. I have seen at least 5 different flavour of ZigBee where all the “old” communication layers were abandoned but they still carry the logo. We just saw a another example of that with Zigbee IP….. Good luck Concast informing your customer about this and/or operating an installed based with various flavours of systems that are different. This is where Z-Wave has a different DNA. We leave no people behind in our innovation and standard development. Products that were introduced and bought buy consumers in 2003 still work with Z-Wave products that are designed today. Not only do we have stringent certification and one single standard, we also make sure that our innovation is backwards compatible to insure the consumers’ and partners investments. Can you imagine having to buy new light switches every 3 years because the so called “standard” decided to drop your flavour and moved on – seriously?